Founded in 1855 by William Wagner, a notable merchant, philanthropist, and gentleman scientist of the time, who sought to offer free educational courses to all who would seek to learn about the natural world. Wagner began offering free lectures on science at his home in Elm Grove. To illustrate the lectures he drew on a collection of specimens he had gathered since his boyhood. All of the classes were offered with an open admission policy that allowed women as well as men to attend. 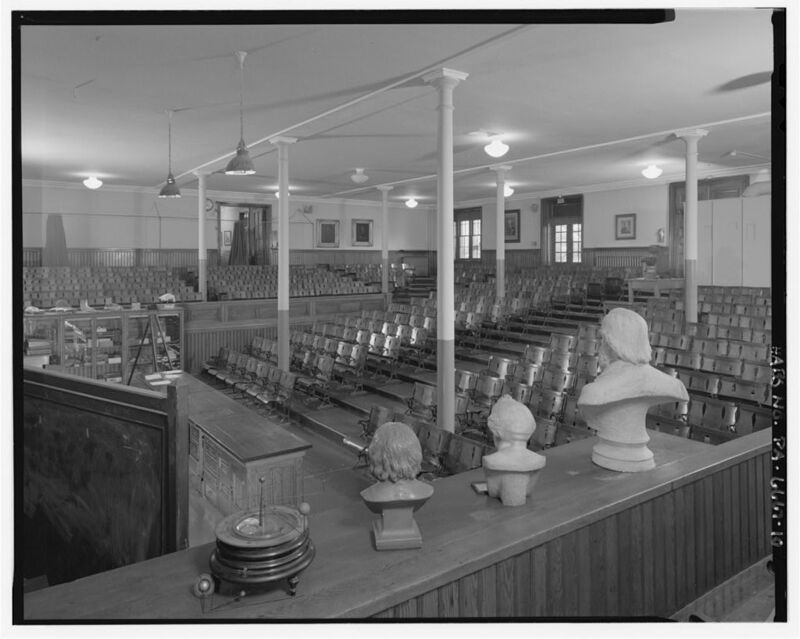 These lectures became so popular that by 1855 he moved them first to a public hall to accommodate the rapidly growing audience, and later to its permanent home designed by Philadelphia architect John McArthur, Jr., who would go on to design Philadelphia’s City Hall. Wagner continued to lecture and to lead the unique institution until his death in 1885. The Board of Trustees then appointed Joseph Leidy, a biologist of international reputation, to head its scientific and educational programs. Leidy’s appointment ushered in an active and productive era in which the Institute’s mission and programs were greatly expanded. Leidy’s most lasting and significant contribution to the Institute was his reorganization of the Institute’s museum. He greatly enlarged Wagner’s original collection by further field collection, purchases and other acquisitions. Leidy personally developed and supervised their reorganization into a systematic display in which specimens and cases were arranged according to Darwin’s theory of evolution, so that visitors moved from simpler to more complex organisms and through geologic time as they walked through the exhibition hall. This new display opened in 1891 and little has been altered since Leidy’s time, making the Institute an exceptional example of a Victorian era science museum. The Institute has continued to carry out Wagner’s initial goals of offering free science courses, while also functioning as a library, lecture hall and museum. 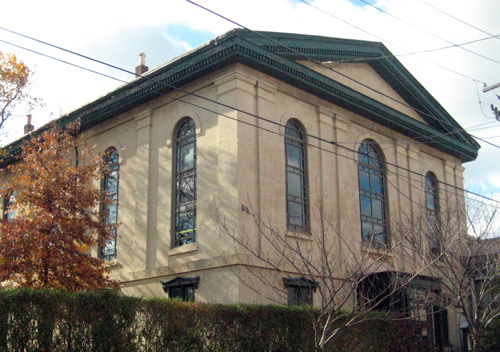 Today, the Wagner Free Institute of Science is widely recognized as one of Philadelphia’s historical treasures. 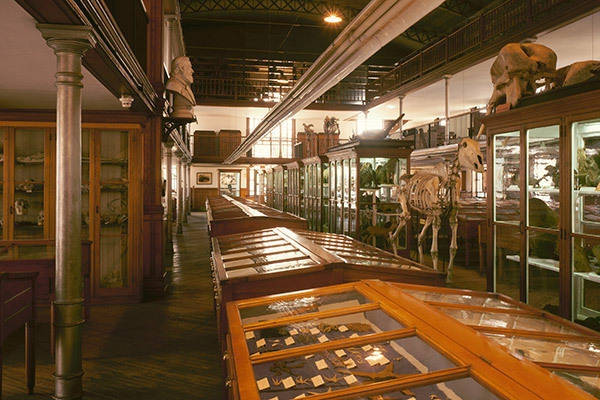 The Wagner contains a main specimen hall and auditorium in pristine condition and display cases may not be altered or moved. The hall is visited by students and adults and is rather narrow, possibly a better space for temporary installations and sound pieces or interventions. The auditorium is an ideal location for performance work.